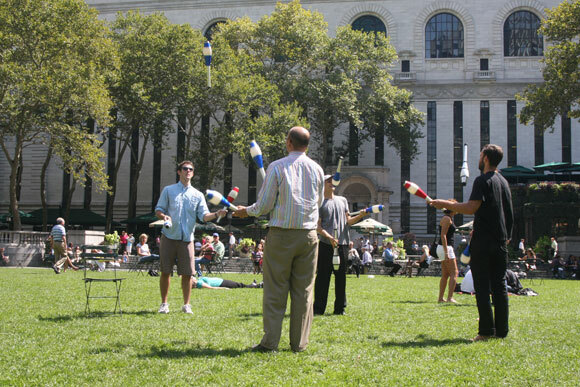 Join the jugglers on the lawn every Friday through Labor Day to learn a new kind of coordination. 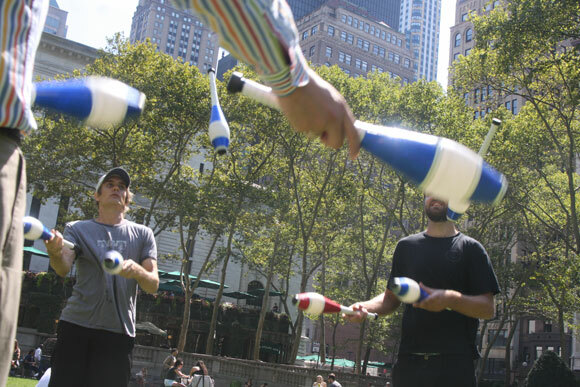 You've probably seen the group of regular jugglers around the park. Lucky for you, we've convinced them to share their talents by giving free lessons. Find them in the Southeast Corner of the Lawn, or on the adjacent gravel pathway if the Lawn is closed. Don't be shy, just ask Alex or Seth for a tutorial. They promise that anyone can learn to juggle!